Dublin Mist Press, 9780984919413, 290pp. She wants to destroy the monarchy. He wants to preserve it. Serengard has been under Orion rule for centuries-centuries of insufferable adherence to laws and traditions that its people no longer believe in. Raised by her scholarly grandfather in the fiery southern city of Neroi, Trzl is dedicated to turning the monarchy into a free society where knowledge is king and no one has to be subject to the whims of an Orion. As the rebellion escalates, her choices have an eerie impact on the revolution at large, elevating her to a position of influence she has only dreamed of attaining. But there are downsides to her new power that entangle her in a dangerous web of emotions, appearances and alliances. Even as she plays to the attractions of Hodran, a rich nobleman who wants to aid her cause, she is drawn to Mikel, a loyalist farmer who hates the rebellion but just might be winning her heart. When Trzl realizes she is in too deep and seeks refuge near the chilling Cliffs of Marek, she isn't prepared to meet one of her old rivals and rekindle a political game she thought she'd won, but the dark mess of betrayal and lies they've created propels them both into a dangerous standoff. And this time the stakes are far too high. 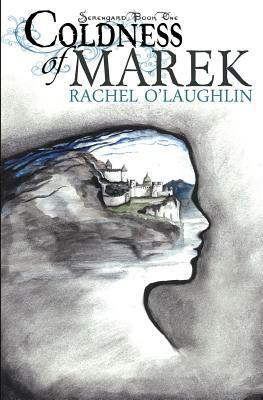 In the thrilling first installment in the Serengard Series, Rachel O'Laughlin delivers mystery, suspense, and romance, set amid a fresh new fantasy world where tradition and art are the victims of progress. Rachel O'Laughlin grew up writing adventure stories in which heroines tend to get their hands dirty, bad guys sometimes win, and someone always gets kidnapped. Her passion for history morphed into a love for fantasy in her mid-teens, when she took a brief pause from reality for utter immersion in the arts and a hands-on education in sustainable living. Lattes and The Fray are daily dwellers in her home in New England, where she lives with her husband and two boys.